From cycling to extreme skiing, helmets remain the best way to protect against sports-related concussions and trauma. In the event that a crash does occur and you find yourself incapacitated or unconscious, ICEdot will sense trouble and contact help. An impact sensor, notification system, medic alert, and GPS all in one, ICEdot monitors the gravity of a fall with an accelerometer and notifies up to 10 emergency contacts of your choosing via text message. It’s also able to track your location coordinates, so if you’re alone, assistance can find you. The compatible wrist band has a unique ID that provides vital medical information for first responders, much like medical ID bracelets of yore. 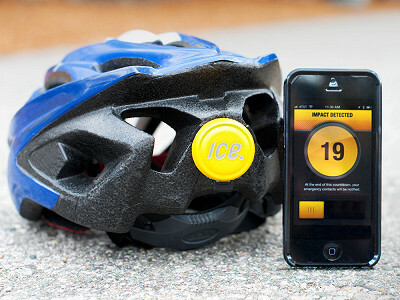 After a collision with fate, ICEdot inventor Biju Thomas was inspired to create a bike helmet safety device that would let him ride without worry. 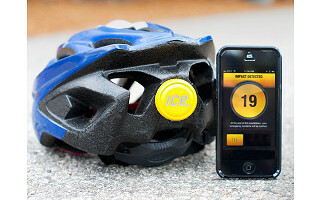 Simply secure ICEdot to any helmet, download the free smartphone app, create your profile, and hit the road. From cycling to extreme skiing, helmets remain the best way to protect against sports-related concussions and trauma. In the event that a crash does occur and you find yourself incapacitated or unconscious, ICEdot will sense trouble and contact help. An impact sensor, notification system, medic alert, and GPS all in one, ICEdot monitors the gravity of a fall with an accelerometer and notifies up to 10 emergency contacts of your choosing via text message. It’s also able to track your location coordinates, so if you’re alone, assistance can find you. 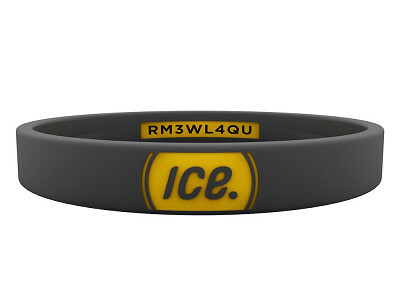 The compatible wrist band has a unique ID that provides vital medical information for first responders, much like medical ID bracelets of yore.